Many PC users are wary of installing security software because of the potential impact on performance, but it doesn't have to be that way. Security software is important – regardless of whether your computer is fast or slow, old or new – and that's precisely why we've collected together this selection of lightweight tools that can be used to keep yourself protected in a variety of ways. Read on to discover a security solution that won't place your PC's resources under unnecessary strain. Security is about more than just antivirus tools and firewalls – although these are obviously very important (see below). For online services, passwords are your first line of defence, and it can be difficult to think up a strong one every time you register a new account. The problem with passwords is that you need to make them lengthy and difficult to guess – but this also means that they can be hard to remember. It's easy to fall into the habit of using the same password over and over, or relying on a 'system' to generate unique passwords (like including the name of the service), but systems can be cracked because they are pattern-based. This is where PWGen can help. This lightweight security tool can be used to generate a single password or many at once, and offers a huge selection of criteria that you can adjust to ensure they meet your requirements. You can even opt to create passwords that are possible to pronounce, making them easier to remember. Windows Defender may do a decent enough job of keeping your computer protected, but you might well like the idea of tool that gives you rather more control over the security of your system – and this is precisely what Avira Free Security Suite offers. Pleasingly, the program manages to avoid falling into the trap of being a massive drain on resources. Unlike many free antivirus suites, it's a lightweight, speedy program that includes all of the features you need to keep your PC secure. In addition to virus protection, there's also a system acceleration tool, a VPN for private web browsing and a password manager. 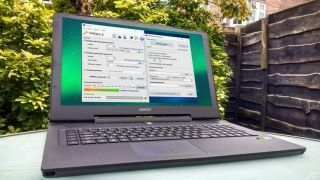 All of the components are of a high standard, but the antivirus tool is particularly impressive – especially when you consider the fact that it's free and receives regular updates. The firewall that's built into Windows is effective, but it is also a little tricky to configure, particularly for inexperienced users. TinyWall aims to make things easier, and it manages to do so without getting in your face or bombarding you with endless popups. The firewall can work on blacklist or whitelist mode (letting you either block specific apps from accessing the internet or only permit access to a limited list, respectively). There's an automatic detection feature that does a good job of determining which applications should be granted access to the internet and which should be block, and they're easily tweaked if you disagree with them. TinyWall lives up to its name, with incredibly small footprint, but that doesn't mean it's lacking in options. You're in full control of your internet connection, giving you the power to completely secure your computer in a variety of ways, including locking down the HOSTS file. Just about every app and online service you use requires a password and as mentioned above, if you're taking security seriously, this means remembering dozens of them. Many of us have the memories of goldfish rather than elephants, so a little help in this department is to be welcomed. Enter KeePass – a password database used to securely store all of your login information. It's secured by a single master password, so this is the only thing you need to remember. Your passwords can be organized into groups to make them easier to find – so you can keep all of your financial password together, for example – and you can install the software to a USB drive so you can take your passwords from machine to machine. You can import password lists in various formats if you're switching from a different password manager, and KeePass also includes a flexible password generator for creating super-strong logins. This lightweight security tool is available for multiple platforms, including mobile devices, making it wonderfully convenient. When you no longer need a file , you probably delete it and forget about it. However, it isn't necessarily gone – the space it occupied has just been marked as available to be overwritten, which means it might be possible to recover it using specialist software. If you want to make sure that deleted files stay deleted, you're going to need a tool like Eraser. It's a simple lightweight security app with one job: rendering files unrecoverable by first deleting them, and then overwriting the space they occupied several times. Eraser integrates into Windows so you can right click a file or folder and choose the secure deletion option from the context menu. In addition to choosing how many times data should be overwritten, you also have the option to delete files on a schedule, and securely move them from one drive to another.